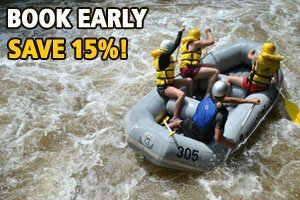 What is the minimum age for rafting? We can take children as young as 4 years old on our family float section, the Middle Yough. The minimum age on the Lower Yough, our beginner to intermediate section, is 12 years old. For the Cheat River the minimum age is 14 years old, and on the Upper Yough the minimum age is 16 years old. ← How many people can fit in one raft?